6 Financial Habits you should start today for your Financial Well-being!! You are here: Home / Financial Planning / 6 Financial Habits you should start today! 6 Financial Habits you should start today! Good financial habits are the building blocks of your financial stability and financial security. Financial habits simply implies to making small changes in the way you manage your personal finances. When I got into my first job,I was not much aware about the personal finance world. Slowly and gradually, the picture became more clear and the financial habits that I adopted few years back, are still helping me to handle my finances in a better and a disciplined way. There is nothing magical you need to do, only a positive attitude and a simple change in your mindset can transform your thoughts into good financial habits. This is the first and the foremost financial habit that you need to build. Budgeting is the stepping stone towards your financial freedom. Simply stated, a budget is an estimate of your earnings and expenses during a particular period of time. If you have a fixed budget, you can approach your financial goals easily. Monthly Income : How much is your regular income ? Do you have any alternate source of income or passive income as well ? Monthly expenses : Rent, Mobile bills, electricity expenses, Loan EMIs, Groceries, clothing, entertainment etc. Monthly Savings : How much can you practically save from your monthly income ? You can anyways make minor adjustments to your budget as per you convenience. But, not having a budget is no excuse. This is another financial habit that if ignored can land you in financial troubles, if not now may be sometime later. So, follow this simple rule : Earn more and spend less. The earlier you learn this, the happier you will be. “ Beware of little expenses. A small leak will sink a great ship ” as quoted by Benjamin Franklin. Avoid impulsive buying and control your emotions while spending. Avoid overspending with your credit card. Keep track of your expenditure on regular basis. Once you make yourself aware of how to spend less, you can start putting money aside to secure your future. This is a small but a very crucial part of your financial life. Sometimes, things get delayed just because of our laziness or not having enough time for it. Timely submission of any kind of bills before their due date is a very good habit that brings financial discipline and keeps you organised. You can anyhow pay your bills with late charges and penalties, that might not seem to be very high to you. But, why to pay extra when you can avoid it by simple management. Set reminders on your mobile. Automate the payments of your bills. Check your accounts regularly so that you don’t miss paying out any important bills. Getting yourself in debt is quite easy. As and when you start spending in excess of your income, you start borrowing money whether from your friends, relatives or loans from banks etc. Or we can say when you ignore the above habit of “living within your means”, you land yourself in debts. Debt avoidance and Debt elimination are two different matters to be dealt with. So, if you avoid debts at the first instance only, you can improve your financial situation. Debt has to be paid back, that too with high amount of interests. So, why not avoid it before it becomes a financial burden for you. Even if you have some debts especially the credit card debts, for any reason whatsoever, you should try to eliminate them to lead a healthy financial life. Don’t take this just as a financial habit, but it’s the need of the hour. Anybody can face financial emergencies and if you have sufficient backup for yourself and your family, then there is nothing to worry about. Emergency fund, is the one where the money is readily available whenever you need it. e.g. any medical emergency where you need the funds immediately. Besides savings accounts, you can explore other investment options like fixed deposits and liquid debt mutual funds based on your goals. Once you have an emergency fund of at least 4-6 months in place, you can plan to save and invest for your long term objectives. Here comes the most important part, not only a financial habit but a crucial part of your financial portfolio. Retirement planning is one of the long term objectives. You should start planning for your retirement at a young age to reap the benefits of compounding over the years to come. Saving even a small amount now will eventually add up and you can enjoy its benefits post retirement. The sooner you plan for your retirement funds, greater will be the benefit that you will derive out of it. Investing your money towards your retirement and growth goals now will definitely pay you off a big sum as compared to investing at a later stage. What is important is to organise all the aspects of your personal finance, now whether you ‘Do it yourself (DIY) or with the help of an experienced Financial planner‘ is upto you. Taking expert advice for building a solid financial plan can be more fruitful than experimenting things yourself. We all have numerous dreams and developing good financial habits, to fulfill them is not as difficult as it seems to be. A strong determination followed by systematic financial planning can help you take the right financial decisions at the right time. Which financial habits you already have ? Which are the ones you need to work upon ? Any other financial habit you want to include in the above list, do share with us. About The Author : This is a guest post by Harleen Kaur, a Chartered Accountant & a Finance blogger who runs a personal finance blog @ Fintrakk.com, which aims at simplifying things in the field of Finance & Taxation for the common man. Which option is better between lending homa loan of 25 lac or using lumpsum ( in hand cash ) for building home. Could you plz elaborate on the second option ??? I heard about some fund , in which if you invest lumpsum amount say 25 lac then monthly you can withdraw 25000 and your lumpsum will also be increased with time . If you have other high priority goals (Retirement / Kid’s education etc) and has not adequately planned or saving for these goals, suggest you to take home loan (considering the current interest rate scenario, you may get a better deal now) and invest the Corpus amount in better investment avenues as per your goals and time-frame. which option I should consider for investment also I want to withdraw loan EMI from invested fund. My suggestion would be not to opt for SWP and pay EMI out of it. This can be a complex and risky option. You may pick Equity mutual funds for your long term goals. How to pick right mutual fund schemes? Also is NJ india trusted provider for high amount Mutual fund purchase. Dear Ashish ..You may pick one diversified equity fund, balanced fund and one mid-cap fund for our long term goals. Suggest you to set up STP (systematic transfer plans) instead of investing lump sum amount. NJ is a intermediary. You money actually gets invested in fund houses. You may check your investments by requesting statement from R&Tagents like CAMS to verify your investments. I have one more query . I am planning to start SIP for my niece. I have 2 niece age (8 years & 2 years ). I’ll want to generate good fund for both for the purpose of higher education or marriage. How should I divide 5500 money per month so that both will get good amount ( 20 lac ) when they will turn 21. Also which fund would be good to invest ? Suggest you to consider an Equity oriented balanced fund and one Diversified equity fund for both of them. You may invest allocate slightly higher amount for 1st kid towards balanced fund. You can also consider Sukanya Samriddhi scheme. Kid’s education goal planing & calculator. I have one home loan is continue & INR 15 Lacs is pending. However, I am paying INR 42K per month which is quite more than the required EMI Suggest me that I am expecting to sell my ESOPs worth INR 8 Lacs & thinking to offload the hosing loan at least by 50 % of total outstanding. Would this step be good or should I invest that money for purchasing land or other investments. ??? Which would be a viable solution. May I know your other high priority financial goals? Have you saving adequately for them? – For my daughter’s higher education as she’s is 12 years old now. These above are major financial priorities & saving through mutual funds. It can take years of experience to develop good financial habits, but the benefits of being responsible with your spending are well worth any effort it takes to develop good practices. When you have your finances under control, you can keep you and your family out of debt. I have been following your blogs for some time now. Although I have started being more cognizant of the need to plan finances properly, still, because I know I am not an expert and because I am quite risk averse and scared of making stupid mistakes, I have not been able to make much progress. Unfortunately, my husband is least interested in financial planning and hence it becomes more difficult for me. Request you to please guide basis the below.I know its too much to ask in on post. I just have wasted too much time till now and want to start now rather than waste more time. Please advise. Would be very grateful to you. 15 lakhs Health Insurance Family Floater (for self, husband). Will buy separately for mother in law. My parents are govt. servants and sufficiently covered even post retirement. Query 1: Most plans I have checked (also using your blogs for guidance) have capped almost all normal surgery costs at 55000-65000. This seems very low for any good private hospital in Delhi. This is where I am stuck and unable to proceed. Please advise. Query 2: Since I am pregnant with my child, should I wait till he/she is born and then buy a floater with 3 of us? Or would the baby be covered under the scheme in which we both get enroled? I read your blogs and using the calculator, plugged in my numbers and ended up with real huge and scary figures. Ever since then I have been very worried, but have taken no action. Any advice on what could my first steps here be, would be very helpful. I am 2 months pregnant with my first child. Please advise on what could be first steps I take to fulfil education needs. Current Assets- Cash in SBA- INR 8 Lakhs. A car whose current value is 4 lakhs. Ancestral property with my share worth 2 crores which we wont sell for atleast another 3 years on personal grounds. As this is more of a comprehensive review, request you to copy paste the above ‘comment’ in Forum Section. Both of us can track the Q&As. 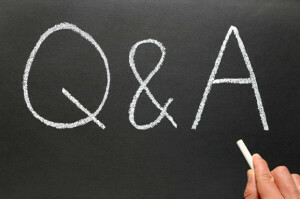 Kindly create a Login-ID and click on ‘Ask Question’ tab to post your Query. Hi , to save taxes on present income and capital gain tax on 1.5 lakh , I want to invest in mutual fund for long term. 1. Is ELSS MF is the best option. 2. Can you suggest best ELSS MF with high risk. 3. Should I take moderate risk , if so then plz suggest some MF. Should I directly invest AMC indivuadually as I heard that if I do thourough my DMAT Ac i will be charged little higher. ? May I know your investment objectives (besides tax saving) and investment time-frame? Dear Srikanth, thanks for another informative article. I want to start SIP in mutual funds 10000/- per month for 15 years for wealth creation. I can take high risk. for better return. I’ve shortlisted 5 funds. The additional SIP amount can be invested in funds based on your time-frame and objective. For example – If I have to accumulate higher goal corpus amount for say long term goal (>10 years), I prefer to allocate higher amount to mid/small fund. 1) Keeping one Large, Mid & Small fund enough for long term BALANCED equity portfolio? 2) Should I remove the Multi-Cap fund (ICICI Pru Value Discovery) since I’m holding one Mid & Small Fund in portfolio? 3) Which one you prefer in Midcap- Franklin India Smaller Co. / HDFC Midcap Opprtunities? 4) Should I make large cap SIP 2000/- and Small Cap 3000/-, keeping total portfolio value same? 5) Is my shrink-ed portfolio better compared to previous one? Any change you suggest in funds or amount? 1 & 2 – If for long-term, personally I will keep multi-cap fund in my portfolio. 3 – Mid-cap, then HDFC Mid-cap. 4 – You may, for long-term horizon. 5 – Kindly note that BSL fund has allocated its corpus to the extent of 49% in mid-cap stocks. So, your portfolio is very aggressive and more skewed towards mid/small cap oriented. Dear Srikanth, thanks for the deep explanation. How can I make my Equity Portfolio balanced then? Should I go with my 1st portfolio choice? Dear Pradip..You may consider this portfolio. Dear Srikanth, thanks for the answer. Is this portfolio balanced/diversified? As my previous portfolio was heavily inclined towards Mid/Small cap. 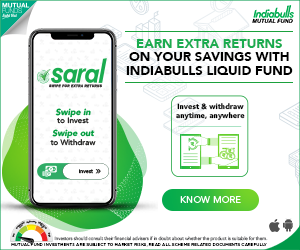 Any change in fund/SIP amount is suggested? I have Rs.50k . Would like to invest the same in Debt Fund instead of investing in FD . However ,I require the same after three month .Could you tell me whether the same will be invested of shorter period ? If yes , please tell which one need to selected ? You may consider FD/Liquid fund. Hi Shreekanth, I have got a lumpsum of 2 Lakhs which i want to invest in mutual funds instead of fixed deposit. kindly suggest me a short term mutual fund ( Holding period shall be minimum 1 Year).Thanks in advance. Dear Prakash..Do you need this money in 1 year? in My opinion, the term “Saving” should be striked off. There should be just investment. A saving at home as cash or in Savings account hardly beats inflation and actually erodes off the wealth over time. People should “Invest” for emergency, Insurance, etc. From the monthly income, after all the Investment amount is taken care (which should be based on Goals) then the expenses should be arrived at. People often calculate their expenses first and then arrive at “Savings” (or Investment as I just indicated). Sometimes ‘savings’ are also important to give that extra balance or cushion to ones investment portfolio. Ex – PPF is a long-term saving oriented product. Income – Savings/Investments = Expenses.